BBR Motorsports 143CC Big Bore Kit W/Cam for Kawasaki SUZ by Bbr Motorsports at Chosen Hubs. SKU: tr-057241. MPN: 411-KLX-1401. Hurry! Limited time offer. Offer valid only while supplies last. Easy Bolt-On Power. This Is the Largest Bore Kit Available That Does Not Require Boring Your Engine Cases for Additional Cylinder Sleeve Clearance. Easy Bolt-On Power. This Is the Largest Bore Kit Available That Does Not Require Boring Your Engine Cases for Additional Cylinder Sleeve Clearance. 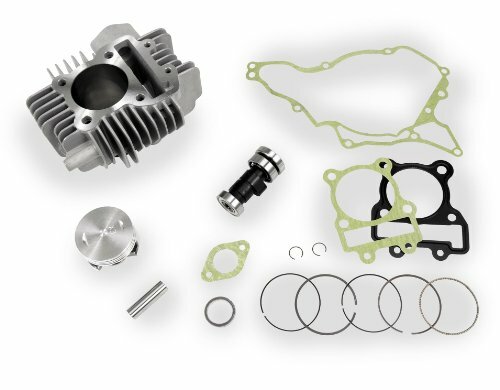 New Aluminum Cylinder With Plated Aluminum Liner, High Performance BBR MX Camshaft With Lightweight Piston and Gaskets Are Included in This Complete and Ready to Go Kit. If you have any questions about this product by Bbr Motorsports, contact us by completing and submitting the form below. If you are looking for a specif part number, please include it with your message.